California Democratic lawmakers compared the building of border walls to segregation and internment camps. State Sen. Ricardo Lara (D) said that California is not interested in doing business with any company that works on President Trump’s proposed border walls, NPR reported. Lara introduced a bill in December 2016 that initially would have required voter approval for any federally-funded infrastructure project built along the California-Mexico Border. 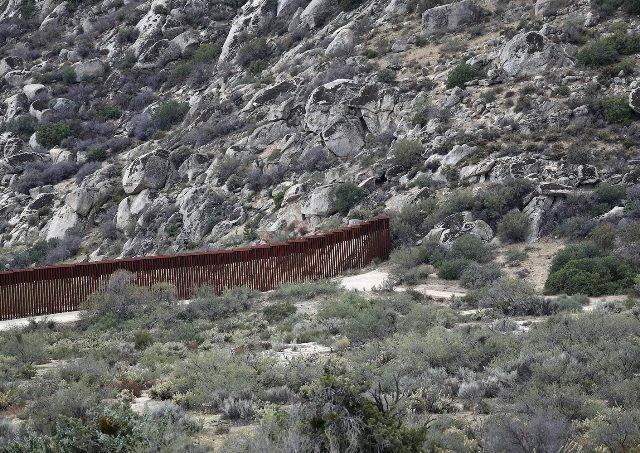 In April 2017, he amended the bill to prohibit the State from awarding contracts to any person who works on a federally-funded “wall, fence, or other barrier along California’s southern border,” Breitbart California reported. Former California Assemblyman Felipe Fuentes (D), who’s now a lobbyist for California contractors, noted that California is on a dangerous path with this type of legislation. Lara said that the wall would hurt California in several ways and called the wall “wasteful and unnecessary”. Democratic lawmakers celebrated the release of the GOP budget which included no funding for the proposed border wall. President Trump announced on Monday that he intended to sign the budget which does include $1.5 billion for border security. While speaking at a ceremony honoring the Air Force Academy’s football team on Tuesday, President Trump hinted that the $1.5 billion included in the GOP budget will be enough for a down payment on the wall. “We have more money now for the border than we’ve gotten in ten years. The Democrats didn’t tell you that. They forgot. In their notes, they forgot to tell you that. With enough money to make a down payment on the border wall,” Trump said, according to Politico. The Democratic National Committee (DNC) capitalized on the budget by sending out fundraising emails using DNC chairman Tom Perez’s name as the sender, as Breitbart reported.